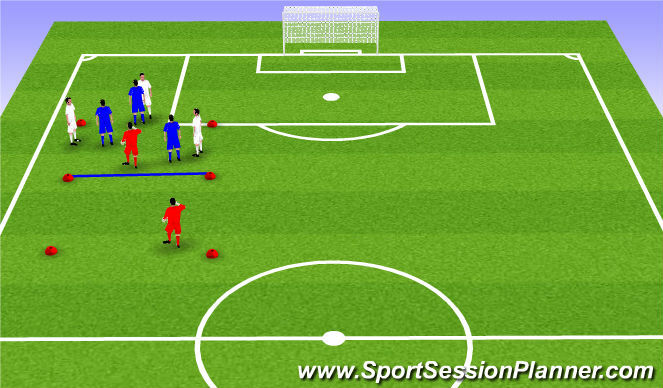 Players pass one direction and move opposite to next cone. Player opposite of one on ball presses to work on technique. Team completes 5 passes and then switches to other side&apos;s neutrals. 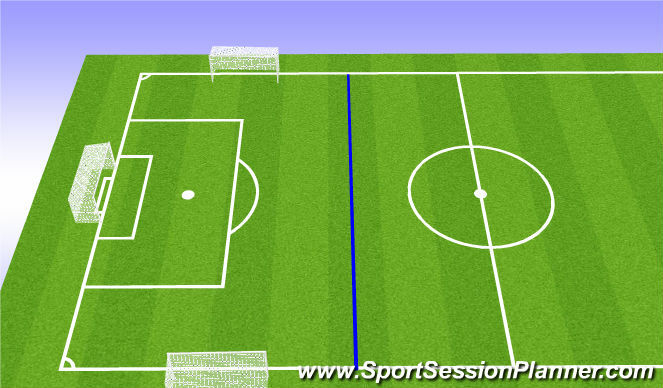 1 point for getting ball to other side and back (2 switches). ~ "If they get organized, we get organized" -- After they have completed 3 or 4 passes need to think about cutting off pass to other grid. White team tries to score by getting ball in channel to targets or to a CM. Blue team tries to win ball and score in big goal. Long, narrow field as shown. Team scores by getting ball into center forward under control. 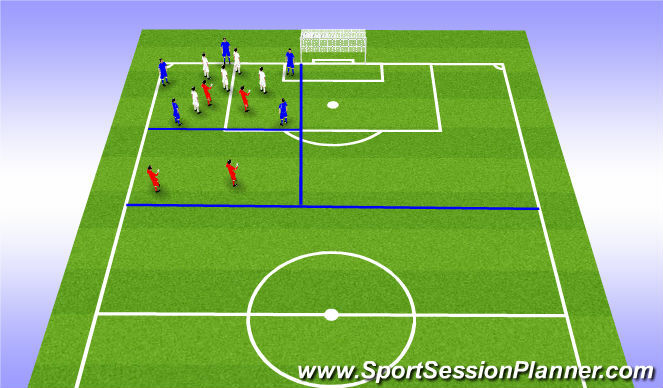 Team in possession can use supporting CBs (CF can pressure). 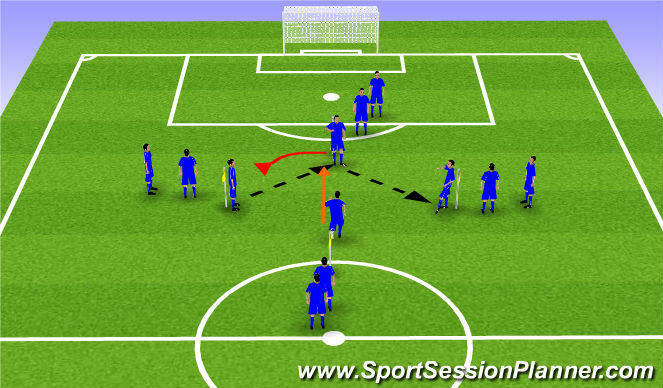 Team in possession uses neutral to complete 5 a minimum of 5 passes before trying to switch to neutral in other grid. 1 point for each time you transfer out and back to a box (two switches into other neutral).